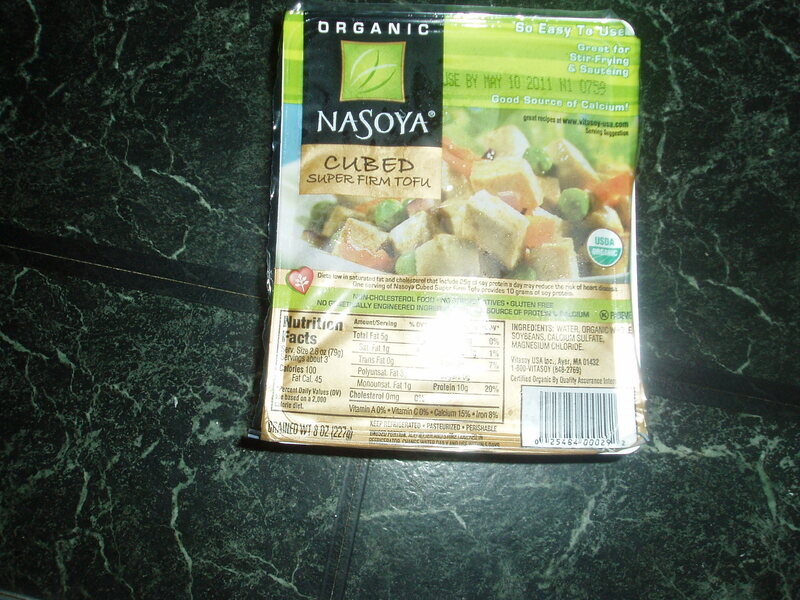 Just in case you missed my tips for using tofu (which I know all by itself doesn’t look or taste that appetizing) is to freeze it for a few days. And then let it thaw for a few days before you intend to use it. Drain it well and either break it up into bite size pieces or cubes…in fact, some tofu is already cubed for you. The next trick is to marinade it for a few hours, longer if you can. The freezing gives it more texture and the marinade gives it lots of flavor. I use soy sauce, pepper and chopped garlic for most recipes. 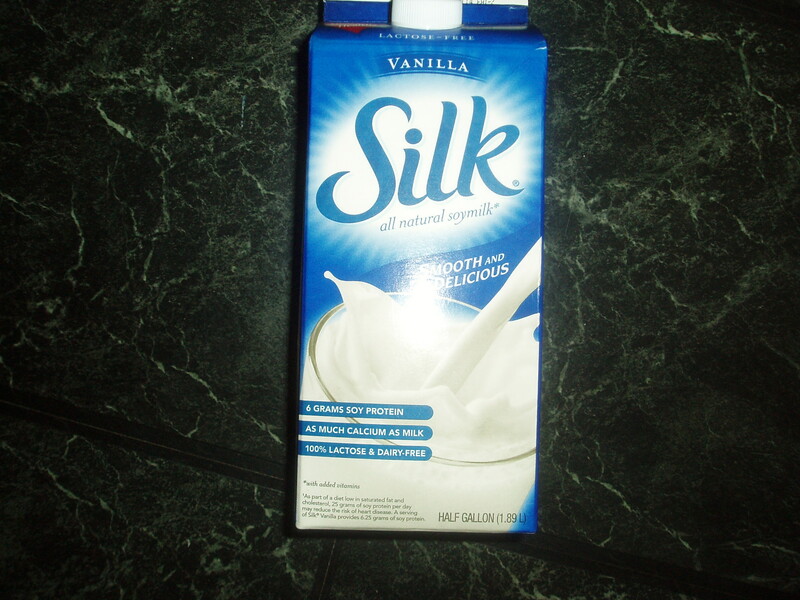 I’m not a big fan of regular soy milk but the Silk brand…the vanilla is really good, is a favorite of mine. I’ve found it’s always on sale, has a long shelf life and makes desserts like rice and bread puddings that much creamier and richer tasting. Healthier: Children and adults across the US are selecting soyfoods daily to get high quality protein and numerous nutrients. Soyfoods are not only low in fat and cholesterol and lactose-free but are also a great source of iron, calcium, fiber, vitamin B-12, magnesium and zinc. Quicker: Soy meat substitutes, such as soy ground and soy sausages cook up in a fraction of the time it takes for traditional meats.. They’re also ideal for pre-made meals and can be stored in the freezer or refrigerator for quick and easy meals later in the week. REMOVE bones from chicken, cut into small pieces. Mix egg white, 1 tsp soy sauce and white pepper in bowl. Stir in chicken. Marinate for 20 to 30 minutes. CUT onion into small pieces. Cut up pepper and carrots. HEAT wok. Add 2 tbsp vegetable oil, stir fry chicken until it turns white. Remove chicken. Add onions and garlic, stir-fry until light brown. Add chicken, Hoisin sauce and sesame oil; stir for one minute. Add chicken broth and bring to boil. Add cornstarch and stir until thickened. Stir in Shelled Edamame, carrots and peppers. Steam for 3 minutes. Serve over rice. Makes 4 servings. PREHEAT the oven to 350° F. Sauté onion and celery in a non-stick pan (add a little water if needed to prevent sticking). ADD soup, SOY DREAM, parsley and pepper. Mix well. STIR in ground soybeans, cooked macaroni and half the soy cheese. Place in a lightly oiled 2-quart casserole dish and top with remaining cheese. BAKE at 350° F for about 20 minutes, until cheese is melted and casserole is bubbly.